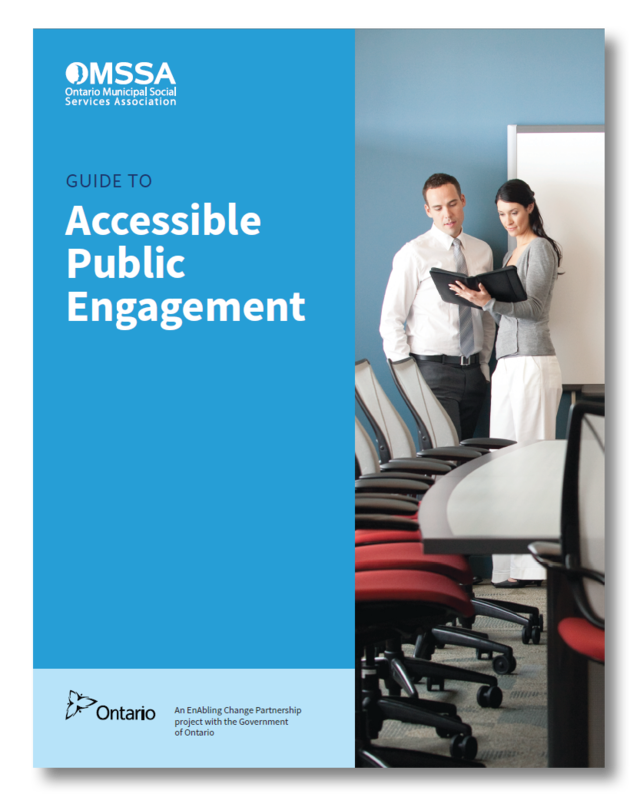 Developed in partnership with the Ontario Ministry for Seniors and Accessibility, these resources are designed to support public sector, non-profit, and private sector organizations conduct accessible community engagement. 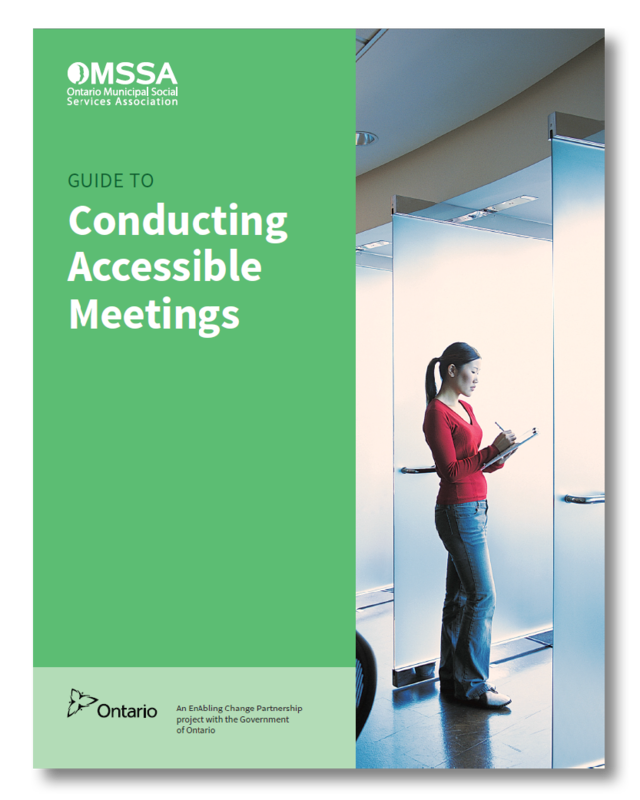 Useful tips and strategies on how to engage with people with disabilities in an accessible and inclusive community consultation process of public decision-making. Checklists and tips on how to make the process and mechanics of meetings accessible.